The Giants and Mariners played something of a game of tug-of-war Tuesday night before 40,276 fans at Safeco Field. The score was tied for the better part of nine innings, and while the Mariners (60-41) never took the lead for themselves, they cancelled out Giants leads three separate times. With Seattle ace James Paxton a late scratch, the Mariners treated it like a bullpen game from the beginning, starting long-reliever Roenis Elias who preceded a parade of five bullpen arms. The last of those arms was All-Star closer Edwin Díaz (L, 0-2, 2.20 ERA) who surrendered a two-out pinch-hit infield single from Pablo Sandoval to hand San Francisco (52-50) a series-opening 4-3 victory with the help of wild underhanded flip from second baseman Dee Gordon. This story has been updated with quotes and post-game material from the Giants clubhouse at Safeco Field. The Giants hadn’t gotten a hit before the fourth inning of a game since July 14, but they broke the spell in the third inning with a little help from their very own “Superman.” Kelby Tomlinson swatted a ball out to center and, with his speed, turned it into a triple, setting Chase d’Arnaud up to earn his season’s first RBI not borne of a solo homer. d’Arnaud became the first of three Giants to make good on the first pitch he saw when he lobbed a squibber just behind the mound with an exit velocity of 44 miles per hour that was ruled a base hit to score Tomlinson. The Mariners came back in the home-half of the inning to tie it up on a solo homer (4) to center field off the bat of Guillermo Heredia, one that center fielder Steven Duggar came up just short of robbing. But the fourth inning saw the Giants jab back with three singles. Brandon Crawford roped another first pitch offering from Elias into center field with one out for the first of the trio, bringing up Austin Slater. Slater saw seven pitches in three of four at-bats Tuesday night, and in this, his second, he shot number seven into right for another single. A batter later Tomlinson did something else the Giants have struggled to do of late: he came through in the clutch with the third of the inning’s singles to score Crawford and put the Giants back in front, 2-1. Again, San Francisco starter Andrew Suárez (ND, 3-6, 3.99 ERA) couldn’t hold the lead in the home-half, though. Things got really ugly when he loaded the bases on a pair of singles and a walk with no outs. But the Mariners, a team entering the tilt with a run differential of plus-one in 2018, managed to only squeak across one run on a sacrifice fly from former Giant Denard Span, tying it up at two apiece. Suárez got more than a little help from Slater in that regard, though. Seattle catcher Mike Zunino slapped a line drive to left and Kyle Seager decided to test the rookie left fielder’s arm by trying to score from second. Slater thew a perfect strike home to Buster Posey to save the run, and the Giants got out of the inning without losing more ground. Both Suárez and Bochy marked the play as a major point in the game, underscoring the importance of Slater’s strong throw. The Giants regained the lead for the third time when Hunter Pence led off the sixth inning with his first homer of the season (and his first in 140 games), but relinquished it yet again when the teams switched sides. Suárez walked Span and was pulled for Reyes Moronta with two outs. Moronta walked Zunino and allowed a single from pinch-hitter Ben Gamel to knot it up yet again, at 3-3. 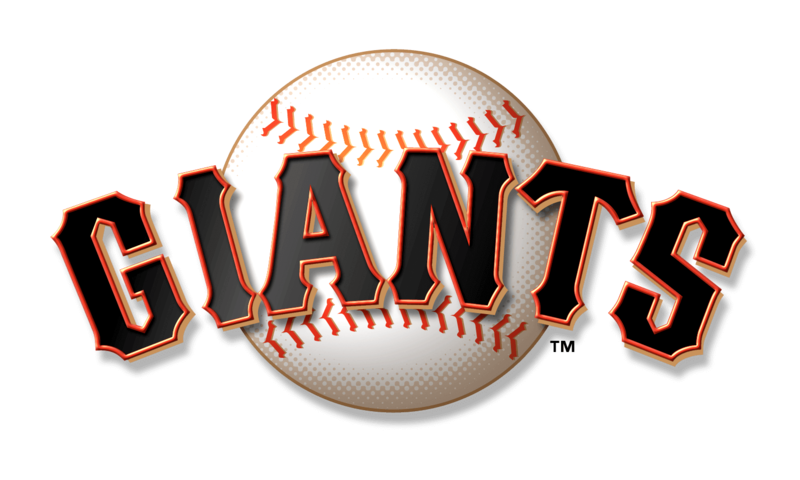 The score remained tied as the Giants went into the ninth facing Díaz. Díaz struck Slater out to open the frame, but Duggar knocked a single to right to get on-base and give the Giants a shot against one of the toughest closers in the game. Sandoval — a guy known for his hustle, not necessarily his speed — replaced d’Arnaud a batter later with two outs and Duggar on second, and he pulled a rabbit out of a hat. He hit a soft grounder toward second base and forced a throwing error from a Golden Glove winner. The air-mailed throw from Gordon scored Duggar and gave the Giants the lead, once and for all. Will Smith (S, 3, 1.50 ERA) pitched a clean ninth, handing Tony Watson (W, 3-3, 1.99 ERA) the win. 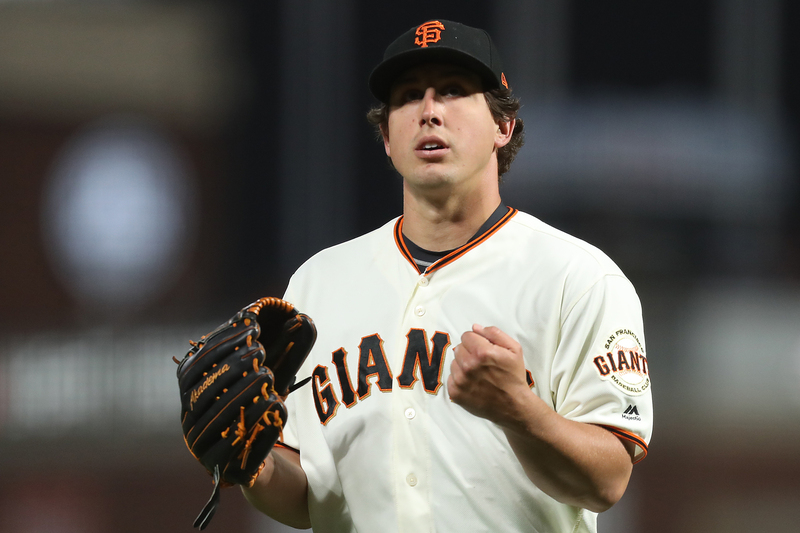 The Giants will finish their season series with the Mariners Wednesday as Derek Holland (5-8, 4.08 ERA) takes on former Giant Mike Leake (8-6, 4.22 ERA) in a 1:10 p.m. day game. Holland will take the place of Jeff Samardzija for the foreseeable future as he deals with nagging right shoulder inflammation. Sam Dyson was one pitch away from throwing an Immaculate Inning in the seventh Tuesday when homeplate umpire Carlos Torres called an 0-2 fastball to Nelson Cruz a ball. 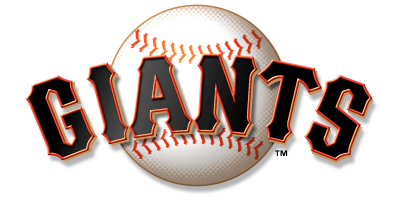 …With the Giants win Bochy notched his 1,905th career managerial win, tying Casey Stengel for the 11th most major league wins… With his third inning single d’Arnaud has hit safely in all six of his starts with the Giants. … Evan Longoria, who fractured the back of his left hand on the fifth metacarpal on a Dan Straily fastball in Miami June 14, has played in three rehab games with Triple-A Sacramento going 3-for-10. Monday he suffered a contusion to his left triceps after being hit by a pitch, so he was scratched from the River Cats lineup Tuesday. The Giants want him to play a couple more games in Sacramento anyway, though, and he is expected to return to the River Cats lineup Wednesday and to San Francisco’s over the weekend. … Joe Panik (left groin strain) practiced hitting ahead of Tuesday’s game in Seattle and will start rehab in Sacramento Thursday.